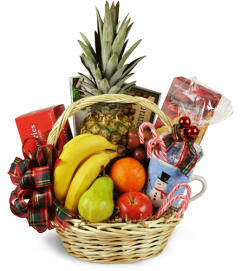 Gift baskets are a wonderfully thoughtful way to celebrate the holidays, or say thank you to colleagues and clients. 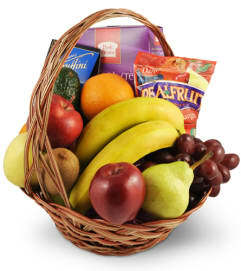 From gourmet fresh fruits to sweet and salty "munchie" treats, The Little Flower has gift baskets for all occasions. 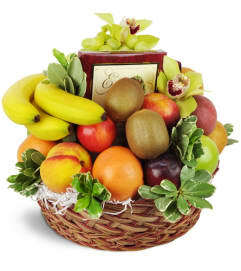 We also have a large selection of elegant floral and live plant baskets that make beautiful, memorable gifts.